"The stock take for 2018 was a challenging milestone to overcome," said Site Manager Siobhan Afford. 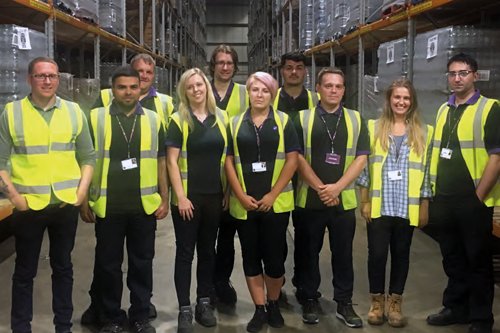 "We have a stock holding of some 10,000 pallets and an average monthly ambient pick of half a million units, so you can see how challenging the stock management can be. Chris Battams, Site Operations Inventory and Administration Manager and all the teams have worked extremely hard all year round and have delivered fantastic results." The preparation for the stock take consists of cycle counting using a scissor lift to pre-label all the stored pallets. "This year we have used more than 12,000 labels due to product rotation through our inbound and outbound transactions," said Siobhan.